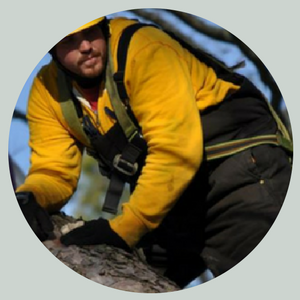 Since 2009, Folsom Tree Service has been a leading contender for safe and efficient tree services. With a combined experience of over 30 years, our experts are more than prepared to handle whatever job you may have. 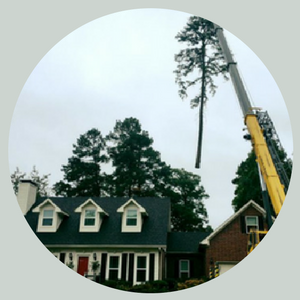 Providing quality tree services and a satisfying customer experience has always been our top priority. 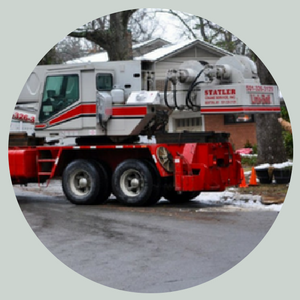 We understand how challenging storm damages can be and that's why we handle all the details so it's one less thing you'll have to deal with. Because taking care of your tree needs is our job. We respect your property like our own so you'll never have to fear additional damage to your outdoor space on our account. Jeremy Folsom has owned Folsom Tree Service since it's opening in 2009. The beginnings of this successful company has a rich history that comes from a place of hard work that Jeremy learned early-on in his life. In high school he performed landscaping jobs but when the economy became unstable, he joined the pipeline. Through his time on the pipeline, he learned how to be fast, efficient and most importantly, how to work hard. When he came back to his hometown of Benton, AR, he brought with him a new mindset towards life. Soon after his return, Jeremy started up a tree business. But with an edge. He didn't want to mimic what everyone else in central Arkansas was doing. He wanted to give his clients so much more. So he did. After acquiring a steady clientele, he purchased state-of-the-art equipment and was the first business in America to own the Italian-made CMC 105 HD Track Lift. It wasn't long before his business grew to unprecedented heights. Word got around and everyone was recruiting Folsom Tree Service for business. He employed a team of brilliant professionals who took their work to heart and to this day, they strive for excellence in every job they perform. No tree is too big for us! We can safely remove any type of tree obstructing your lawn! Our technicians ensure that each job is handled with safety and respect---we treat your property like it's our own. We work hard to clean-up any damages to your home in a timely fashion so you can get back to normalcy.